Italian fashion house Gucci is renowned for its bold aesthetic and innovative designs. 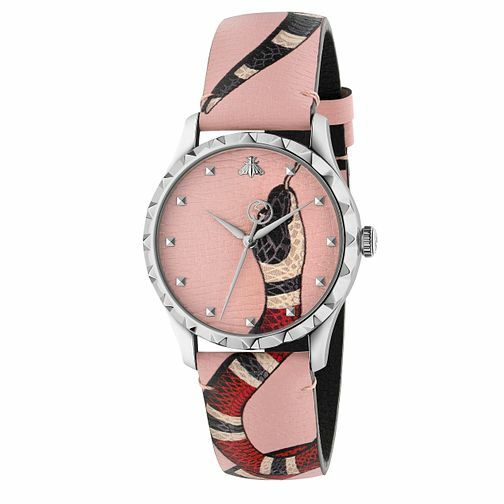 This stunning Le Marché Des Merveilles snake print watch takes inspiration from the brand aesthetic. Featuring a snake print on the dial face, whilst the time markings feature a number of the house motifs, including a bee, star and heart. Stand out from the crowd with this sumptuous timepiece.